U.S. taxpayers with financial accounts opened outside the United States are generally required to disclose these accounts to the IRS. Reporting is done on a Report of Foreign Bank and Financial Accounts (FBAR) and on Schedule B of the income tax return. Because FBAR forms are technically a Treasury Department function, the penalties laws are not found in the Tax Code. Penalties for not filing an FBAR form range from $10,000 to the greater of $100,000 or 50% of the highest account balance. The criminal sanction for not filing an FBAR is up to a $500,000 fine or 10 years imprisonment or both. Unfortunately for holders of unreported offshore accounts, the IRS routinely imposes 50% penalties that are based on the highest account balance and not the amount of any unpaid tax attributable to the account. In a few cases, the IRS has imposed the 50% penalty for multiple years meaning that one’s entire account balance could be wiped out for just two years of unfiled FBAR forms. How does the IRS determine penalties? Great question. The Internal Revenue Manual or IRM guides IRS employees in their day to day activities. Section 4.26.16.4 of the manual instructs agents how to apply FBAR penalties. Generally there are 4 criteria that agents look for when a taxpayer seeks relief from the maximum 50% penalties. First, the taxpayer must have no history of criminal tax or money laundering convictions in the last 10 years. There also must not be any history of prior FBAR penalty assessments. This makes sense. If you have been in trouble for similar problems in the past, the Service believes you are on notice. Second, the funds in the offshore account can’t be the proceeds of criminal activity or used for illegal purposes. That sounds obvious but the IRS has sometimes been inconsistent in how they treat taxpayers who use a foreign account to conduct online gambling. What is perfectly legal in some countries may not be legal here. Next, the taxpayer must have cooperated in the examination. Hide money in nominee accounts or move money around to stay one step ahead of the IRS are sure fire ways to see the maximum penalties. If you are selected for an audit, the choice to cooperate must be made early in the process if there is to be any chance of having the IRS reduce penalties. Because the penalties are so high and because there is a risk of criminal prosecution, we strongly recommend hiring an experienced IRS tax lawyer to help you understand your risks and obligations. Finally, the last criterion is that the IRS did not “sustain a civil fraud penalty against the person for the year in question due to the failure to report income” related to a foreign account. In simple terms, if your foreign account generated income (interest, capital gains, etc.) and you didn’t report that income on your US return, there may be a problem. Accounts that don’t generate income or taxpayers who properly report their foreign source income on a U.S. tax return generally get a break on penalties. There is some mitigation possible as well for willful FBAR penalties. 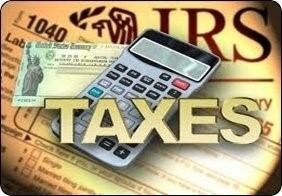 Obviously if the IRS determines the failure to file an FBAR was willful, however, the penalties will be greater. Those mitigation guidelines will be covered in future posts. The bottom line? If you have failed to file one or more years of FBAR reports, the potential penalties are severe. Some taxpayers think they can just file the missing back year FBARs and hope the IRS won’t catch the mistake. The IRS calls this a “quiet disclosure” and says they will pursue folks who try to do so. Instead of taking on the IRS alone, find a good tax lawyer to help. All inquiries protected by the attorney – client privilege and kept in confidence.